Don’t you remember the times when we used to meet our friends at the nearest Timezone and played all our weekly allowance away, where we battled it out for the high score, or collected tickets to win all sorts of prizes. That was before mobile games and PlayStations, and it seems that for most of the world, arcades are a thing of the past. But not in Japan. This country is known for all its childish wonders, like Tokyo Disneyland, the Doraemon Experience , and Tokyo Legoland. When Japan kids encountered the likes of Pac-Man and Space Invaders back in 1978, they were instantly hooked. And while the boom has definitely passed, Japan’s arcades have become such a fixture in contemporary Japan there’s no doubt they’re here to stay. Which is great news for us! 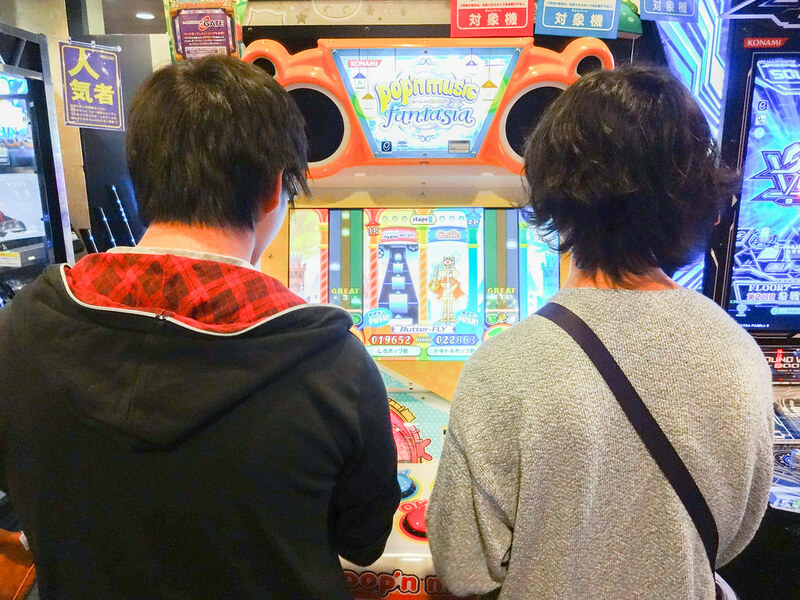 Here are the 10 best Japan Arcades in Tokyo to relive those grade school days! If the neighborhood arcades are like churches to the Japan gaming youth, then the Hirose Entertainment Yard—or ‘HEY’—is the grand cathedral. With its neon lights and dedicated floors to all sorts of arcade staples, this place has become an icon in itself. Perhaps it’s because HEY has been around longer than most arcades, but HEY is where you can see Tokyo’s most competitive hang out, show off, and swap gaming tips—in other words, an authentic, organic community. But don’t let this intimidate you; the HEY community is very welcoming to noobs and tourists. Even in the midst of Tokyo’s electronics Mecca, Club Sega is impossible to miss. At a staggering seven stories tall, Club Sega is Japan’s largest arcade and is a welcoming place for both serious gamers and newbies. People who come in come here to stay, and the building is equipped with coffee, vending machines, and cup noodles for gamers not ready to hit pause anytime soon. As a video game developer themselves, Club Sega’s fifth floor is dedicated to their own produced games. And word on the street is, you can test out some of their new releases here before they even hit the markets! Visitors headed to Sega GiGo will be sent on a wild nostalgia trip. Among all of Japan’s iconic arcades, Sega GiGo has the supreme honor of housing the first Pokemon game ever. Another legendary game? Sega Gigo has floors dedicated to the iconic claw machines and capsule toy dispensers we all remember from childhood. For something a little more upscale and a little more adult, head to Game Bar-A-Button. As you enter the bar, you’ll see a large HD screen propped over the bar with both vintage and current gaming consoles. Enjoy your cocktails as you speed with Mario Kart. Game Bar-A-Button has managed to keep it both classic and classy, and is a weekend favorite among both the Japan gaming community and travelers. For an experience beyond just the arcade games, head to Anata No Warehouse. Not many tourists go here, and for good reason—the place was designed to be a Japan replica of Hong Kong’s Kowloon Walled City, and looks just like the former slum town. The arcade is 18-and-over only, and you’ll have to cross sketchy buildings just to get to the games. Surprisingly (or not), the games are the only pristinely preserved things in the entire complex. And while this isn’t technically in Tokyo, it’s so close to the city it hardly makes a difference. What happens when you combine a theme park and an arcade? You’ve got the incredible Joypolis, which takes the outdoor experience of amusement park rides and combines them with the latest in virtual technology. Its indoor rollercoaster and chilling haunted house are unlike any other in the country. And while you do a heftier price compared to the other arcades on the list, the one-of-a-kind experience is worth it. Book Your Ticket With KKday! Another homage to the Golden Age of Gaming is Super Potato, also in Akhibara. Going to this place is a nostalgia trip in itself; you’ll find it tucked away in an unassuming back street away from the flashy stores and bustling shoppers. Here you’ll find old (and rare) favorites such as Super Mario and 007 Golden Eye, and if you head to the top floor, you get to sit on a throne made of NES and Sega game cartridges. UFO machines, Gachapon, and shooting games…what else comes to mind when you think about arcades? Photo booths! And few things make for better travel souvenirs than actual, developed photos. At Taito Station, you can have as much fun with the photo sticker booths as you want: decorate the photos, change your hair color, or try on some wacky effects to make you look like a Japanese cartoon character. And because it’s Japan, you’ve also got the fun option of cosplaying for these booth prints! Get your Tokyo Disneyland Tickets with us! Come and explore Tokyo Legoland and book your ticket with us! Book your Tokyo One Piece Tower Tickets over here!